It’s not usual that the name of the villain itself will be the title for a movie especially with Disney films who always named their movies after the lead character of the movie or something in relation with the main character but not with a villain or the opponent of the lead role. Disney’s newest movie will be played by Angelina Jolie as Maleficient the villainess character from 1959 classic movie “Sleeping Beauty”. This film will follow a similar storyline as the animated Disney “Sleeping Beauty”, but this time with a backstory as to how Maleficent transformed from an evil wretch who ends up cursing Princess Aurora the Sleeping Beauty. The movie will focus more on Maleficient or Angelina Jolie and Aurora portrayed by Elle Fanning of how MAleficient ends up chasing and cursing Aurora. Angelina’s 5 year old daughter Vivienne Jolie-Pitt appeared in the movie as a young Aurora, she received this role because she’s the only one who wasn’t afraid and can play with her mom in the shooting while the siblings feared with Angelina wearing makeup and costume. Angelina must be really frightening villain in this movie. Lana del Ray will cover the song of the classic theme song “Once upon a Time” which also the same song then. 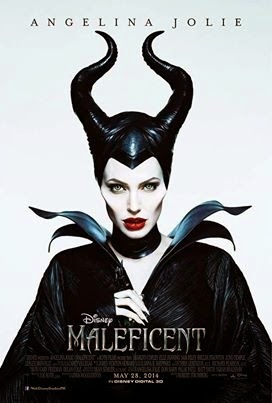 This movie is a dark fantasy film that may scare us in theater in which the ending can’t be predictable nor foresee to think that Angelina Jolie who always play as a hero is now a villain here, I know Disney make a twist in the end of this movie or else it will upset us if everything will taken from the 1959 film Sleeping Beauty. Do you like Angelina’s role as an evil villain here or you like her to stay as a hero in every movie she made?